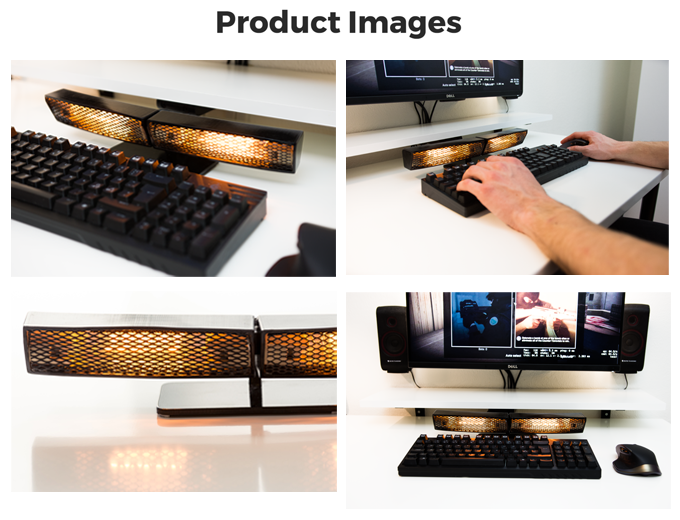 The HeatBuff Keyboard Hand Warmer | OhGizmo! By David Ponce on 03/24/17 • Leave a comment! Gone are the days where you have to do your typing with cold, rigid fingers. 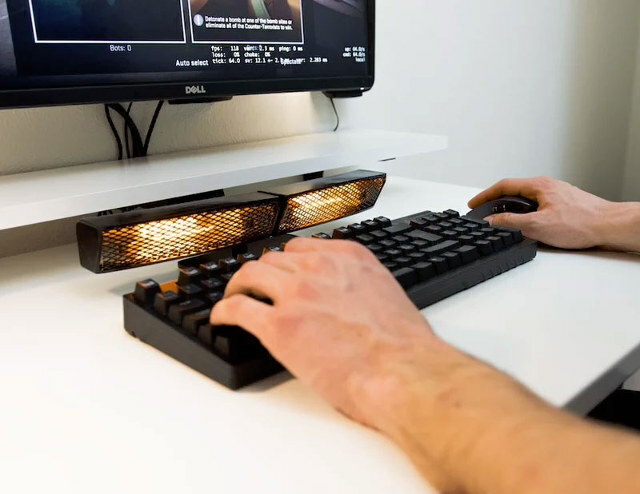 The HeatBuff Keyboard Hand Warmer uses infrared light to warm up your digits, while presumably leaving your keyboard and mouse cold enough to touch comfortably. The beams can be repositioned, so you can point one at your mouse and the other at the keyboard. It plugs into the wall outlet… which is strange for a product meant to be used on your desktop. It’s going through its Kickstarter funding phase, and it has reached its goal. If you want one for yourself, you’ll have to pledge $71, with delivery by December 2017.